Happy Monday and Happy Labor Day, y'all! Today, I am starting the week off on a positive note by hosting another Noonday Collection giveaway! Be sure to check out my latest Instagram post for all of the details and how you can enter to win this gorgeous Sculptor Necklace (made with love in Kenya) that was provided by Kristina Starnes, ambassador for Noonday Collection. What is Noonday Collection? We partner with talented artisan entrepreneurs to make a difference in some of the world’s most vulnerable communities. By developing artisan businesses through fair trade, we empower them to grow sustainably and to create dignified jobs for people who need them. Together we’re building a flourishing world where children are cherished, women are empowered, people have jobs and we are connected. 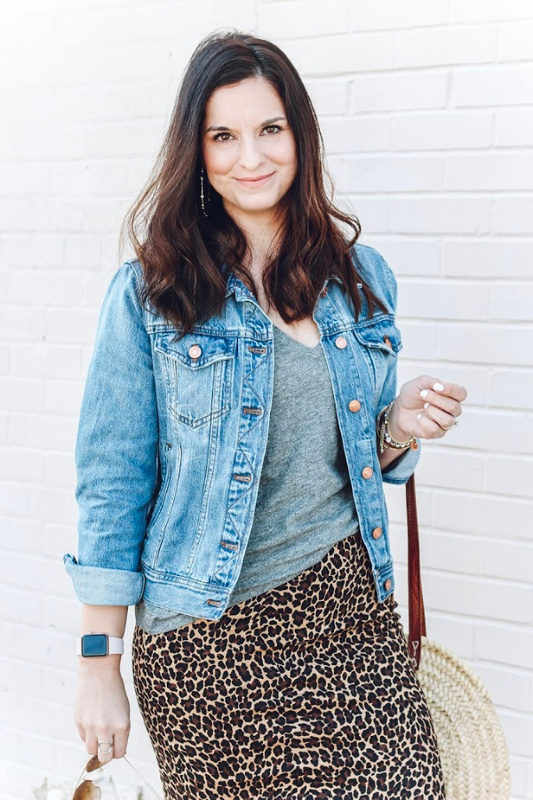 I am all about style for a good cause and Noonday Collection is an amazing company that's doing good in our world. 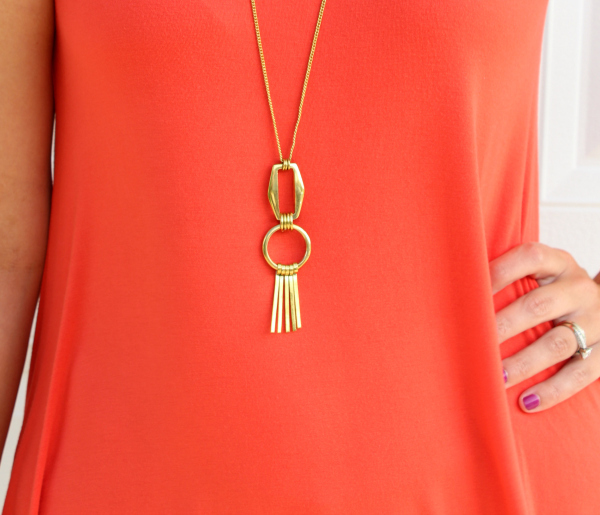 I love the simplicity of this necklace but yet it still makes a statement. I styled it with my favorite throw on and go swing dress and ankle boots for an easy summer to fall transitional look. This beautiful necklace adds the perfect finishing touch all year long. How would you style this necklace? Be sure to head over to Instagram (look for the photo featured below) to see all of the rules for entering the giveaway to win this necklace for yourself. Good luck! I just bought a plain, white, oversized tee that I think will pair well with fitted jeans, my brown sandals, a gold cuff and this necklace.